Why Is My E-Cig Too Harsh? Is your nicotine strength too high? One of the biggest reasons your electronic cigarette might be too harsh is because of the e-liquid you are using. Have you gone for one of the high strength ones? It might just be that you need to drop down a level and go for a lower nicotine strength, for example, dropping down from 2.4% e-liquid to 1.8%. I would recommend that you try ordering some lesser-strength e-liquid and trying again. Sometimes it really is as simple as that. Which ELiquid Strength Should I Buy? What kind of e-liquid are you using? What’s The Difference Between PG and VG E-Liquid? Is your voltage too high? You may have heard the term ‘variable voltage’ being thrown around and if you haven’t, you might want to consider it if you’re asking why your e-cigarette is too harsh. A variable voltage battery is one that you can change the voltage on. When you have a higher voltage, the throat hit and vapour amount produced will be quite high. When the voltage is lower, the throat hit and vapour won’t be as strong. If you are finding that your e-cig is currently too strong for your throat (or lungs) to handle, it might be worth looking at these variable voltage batteries, and for beginner’s they are great because you could start off stronger and reduce the strength over time, having a completely adaptable smoking experience. I don’t like smoking a harsh e-cig first thing in the morning. With the variable voltage battery, I can turn things down to give me a much softer smoke. After dinner in the evenings, on the other hand, I much prefer a stronger smoke so I can turn things up to give me more of a hit. Another time that variable voltage batteries are perfect is when you are trying to be discreet. You might like a strong smoke from your e-cig but at the same time, you don’t want things to be too obvious when you are out and about. Some people find it easier to hide their habit a little at first – it can feel weird heading out with your e-cig for the first little while that you use it. Even now, eight years later, I’m still keeping my use somewhat on the down-low, although I still use it when I am out and about. With the VV batteries, you can turn the voltage down to give you a more discreet smoke for when you are using it in a public place. E-Cigarette Troubleshooting: Why Isn’t My ECig Battery Working? E-Cig Troubleshooting: My ECig Battery Is Stuck ‘On’! What kind of e-cigarette are you using? This may sound like a weird question but there is a reason I’m asking it. When you first start off using e-cigs, it’s much easier to make the change to something like the cig-a-likes; e-cigs that look, feel and smoke like a regular cigarette would. Something like the Vapouriz Gemini, for example, or BLU Cigs. After a while, you might find that you want to upgrade to something bigger, stronger, that packs a more powerful punch. That’s how my journey went, as did Dan’s (the other reviewer for the site). We started on the smaller two-piece designs like BLU Cigs, and moved onto bigger tank-style e-cigs like the Vapouriz Fuse or the VapesandJuices Kangertech EVOD. After a while, we wanted something bigger and stronger than that and chose to upgrade. We’re not quite at the ‘mod’ stage yet, but we are starting to experiment with various options such as voltage, wattage, Ohms and more. The Jac Vapour Series-E is perfect if you want something a bit bigger with a variable voltage battery, or even the V2 Cigs Pro Series 3 is great to move up to. 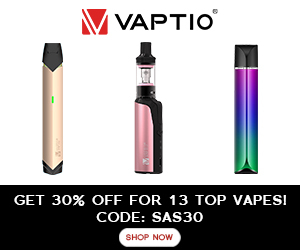 V2 Pro Series 3 available at V2 Cigs – Click for more details. The point I’m trying to make here is that you may have kick-started things with an e-cigarette that wasn’t quite right for you, and that could be the reason you are finding your e-cig too harsh. If you went straight in with the Jac Vapour Series-E as your first e-cigarette, I wouldn’t blame you for feeling somewhat intimidated. You want to start with something simple, smaller, more lightweight and that doesn’t pack the all-might punch that the bigger ones do. If you start with something too powerful for you, you are going to find it too harsh, especially if you go with one of the higher strength e-liquids too. I’d always recommend starting off with something small and work your way up from there. Is this your first time with e-cigarettes? When you first start smoking electronic cigarettes, you will notice the difference between smoking the ‘real’ cigarettes, and their electronic counterparts. The experience isn’t exactly the same, nor should you expect it to be. Your cravings ARE curbed, and you WILL feel better after puffing away on your electronic cigarette but obviously the experience is not going to be exactly the same. You may cough and splutter a little when you first use it but that’s only as you get used to a different kind of smoke. It’s not quite as thick and as dense as the smoke you would get from a regular cigarette. In fact, I actually find e-cigarettes much nicer on the throat – lighter, almost, with the same nicotine hit. For me, it is the perfect compromise. I HAVE managed to quit smoking with e-cigarettes before and at one point, I was completely smoke-free for over two years, but right now I’m more than happy to keep playing around with my electronic toys and all the time I do, I’ll keep you updated with how I get on. Are you inhaling too hard? If you are finding that your ecig is too harsh for you to smoke it, it is definitely worth shopping around and looking for another brand or e-liquid type / strength rather than just giving up completely. If you’re having a hard time picking the right kind of e-cigarette for you, why not jump over to the Facebook page and shoot me a message. I’ll be happy to answer any questions you have and help you find the perfect e-cig for you! Next: A Guide to E-Liquid: What’s The Difference Between PG and VG E-Liquid?